We install, design and build pond filtration systems in Surrey, West Sussex and Hampshire. Pond filtration systems are often required to restore or maintain the delicate balance of an aquatic ecosystem which is disrupted or placed under stress by high fish stock levels, fish feeding, ducks, lack of plants and so on. Maintenance of good water quality should be well thought out at the design stage of a new pond. Where water quality is poor in an existing pond, upgrading or retro-fitting of a filtration system is indicated. 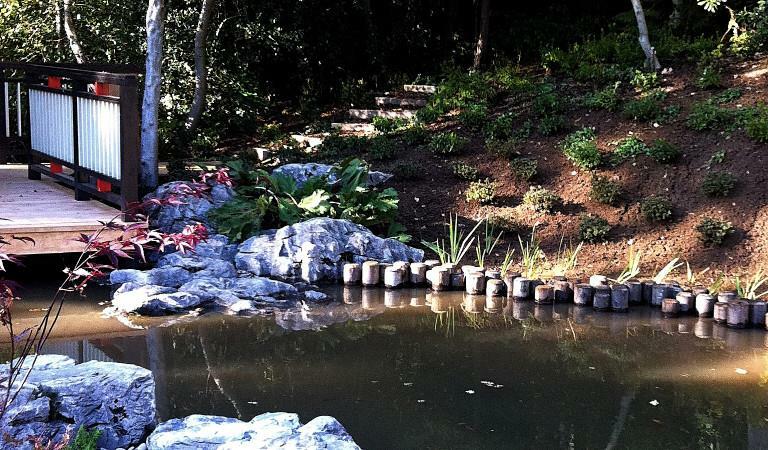 We install, design and build	pond filtration systems in Surrey, West Sussex and Hampshire. Our filtration design and consultancy service is available nationwide. There are filtration systems on the market for every conceivable application - for a small garden pond through to a swimming pond or small lake. As with most things, you get what you pay for. Every year the manufacturers strive to make their products more user-friendly and efficient. It is essential that all relevant factors are considered before opting for a particular filter and pump combination. Installation should be made to maximise the effect of the chosen system and in such a way that the workings are hidden from view and do not detract from the aesthetic of the pond or feature. Natural reed beds were used by the Chinese and Egyptians to	purify water thousands of years ago. The first recorded “built” system was made around 1900. 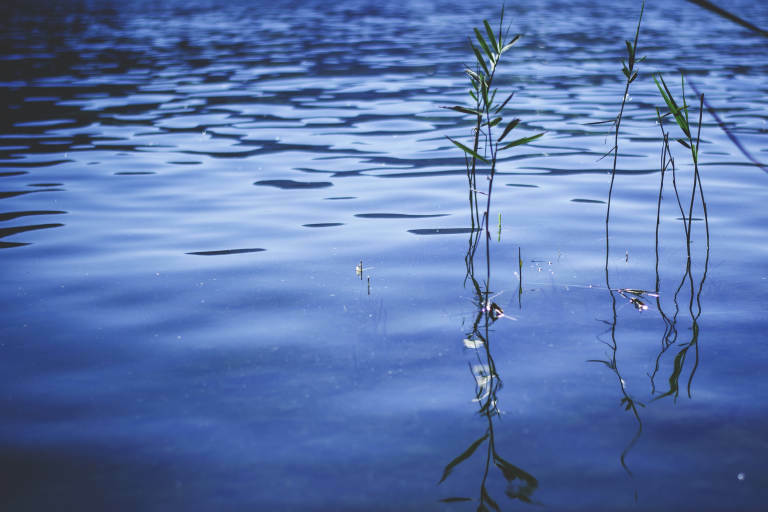 Applied to ponds and lakes, reed bed filtration is simply an augmentation of the natural system, plant life and beneficial bacteria servicing the nitrogen cycle requirement of the feature. Both vertical flow and horizontal flow systems are feasible allowing flexibility in design and full integration into the landscape. Reed bed filtration systems do, however, take up quite a lot of space - as a rule of thumb, approximately one third to one half of the surface area of the body of water to be serviced by the system. Both sand and gravel bed filtration systems are used the world over for purification of water for drinking purposes. In spite of the high levels of maintenance required by these systems, there is a niche for them in the field of water gardens and ponds particularly where excellent clarity is required by the purist or where installation of such a system overcomes the problem of installing an unsightly or over large alternative.